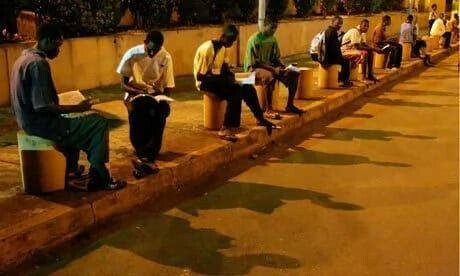 From my own perspective, To curb this poor reading habit on campus, firstly the Academic Board Members should organize an orientation for all students with no exception to any department on the importance of cultivating a good reading habit especially in their various fields of specialization. Also, as humans are generally forgetful, it is important that incentives or reminders in form of seminal or pictorial representation can be organised or shared among students within the campus to reinforce the essence of being a student of knowledge. Secondly, A conducive environment will go a long way in profering solution to the deteriorated reading habit that has eaten deep into higher institutions. For example, A student cannot be expected to read and assimilate or give total concentration in an environment with noise pollution. As we all know that we’re now in the Era of Technology, Institutions should try as much as possible to make the E-Library available and functional and also develop his own Mobile Application which should be updated every semester containing the necessary course outlines for each department, This will grant easy access of materials even if the student is addicted to his/her phone as he/she will gain one or two things from surfing the internet instead of wasting his/her precious time. Addressing the student, The student needs to work on various aspects too like adjusting their reading attitude (He/She should ask him/herself if he’s reading to understand or just to tell others he/she read and read and read). A student should give full concentration while reading and minimize wasting time on frivolities such as Music, Partying, Playing etc to avoid been distracted. P.S This article was written by Johnson Asena Ayomide is an advocate for Girls under the Umbrella of “Royal Pearls Girl Up Club, Nigeria” (Affiliated with “Girl Up Club, United Nation”) and a Publisher for Knowislam.com.ng. Email: johnsonasenaayomide@gmail.com | Facebook: facebook.com/iamjuncinayo | Instagram: @iamjuncinayo | Twitter: @iamjucinayo | WhatsApp: +2348179398383.